No other culture has mastered the art of food and wine pairing quite like the French. France’s regional food and wine scene highlight local produce and raw ingredients to create terroir-driven dishes with a serious sense of place — including within the glass. If pairing food and wine has always been a stressful mystery to you, you can’t go wrong with these seven provincial French meals paired with a glass of each region’s wine. They’ll instantly transport you to the world’s most mouthwatering food and wine destination — and you’ll impress any guests you serve the pairings to. Home to escargot, mustard, and a range of savory meat dishes, Burgundy is widely considered France’s food and wine mecca. The region’s rich cuisine and insanely detailed wine culture (Burgundy is credited for essentially creating the concept of terroir) make it the best place to start when it comes to eating and drinking your way through France. For starters, dive into Burgundy’s namesake dish, boeuf bourguignon, which is a tender meat and vegetable stew. 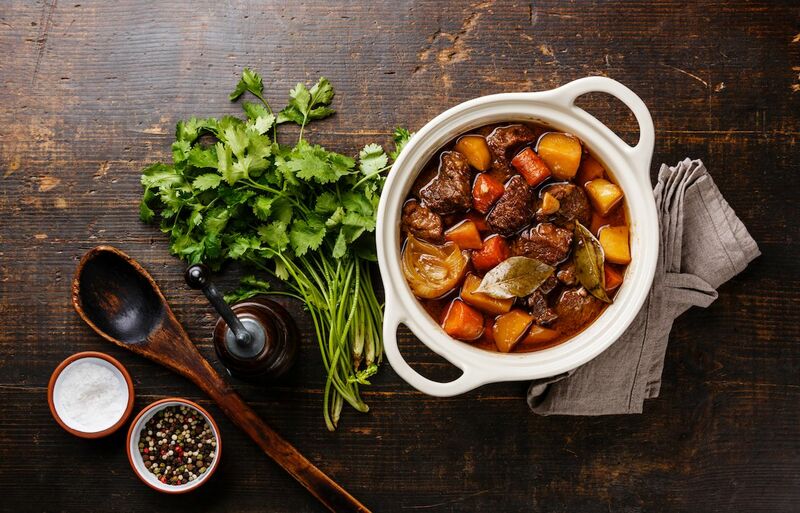 Once deemed a peasant’s meal, boeuf bourguignon now finds itself on some of the country’s best menus, including those at Michelin-starred restaurants. Serve alongside a local glass of pinot noir, the region’s signature red wine grape, for an out of body French eating experience. Located on the border with Germany, and with a history of occasionally being part of Germany, Alsace makes German-influenced cuisine that is different than the rest of France’s food. 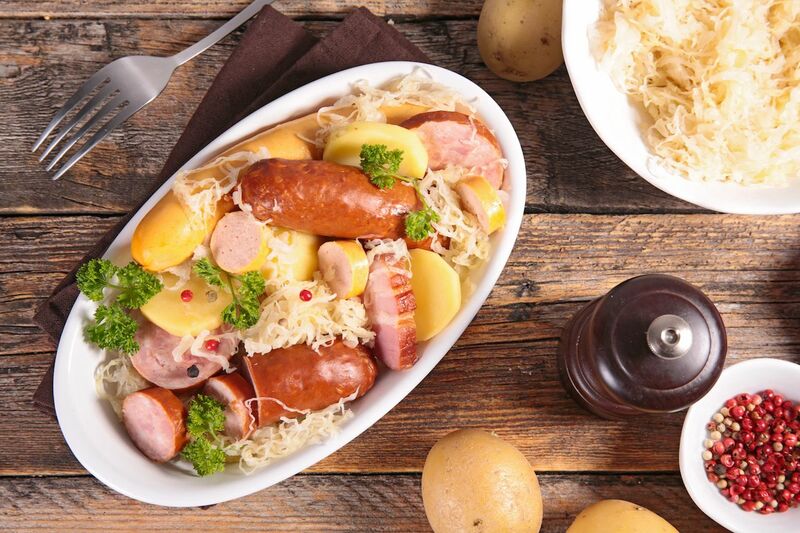 The region’s most popular dish, choucroute (French for sauerkraut), comes in a variety of preparations. Some of the most popular include using sausage, smoked meats, or bacon, coupled with potatoes and fermented cabbage. Despite cabbage being generally hard to pair with wine, sipping a glass of local gewurztraminer (gewurz means spicy in German) always makes for a solid pairing. The wine’s floral, lychee-driven aroma coupled with sweet spice perfectly balances the tanginess of the dish. It’s hard not love fondue with its rich, gooey cheese. This Alpine-inspired dish is a cold weather favorite for residents all over France, especially after a day of snow-filled activities in Savoy, which is near the Swiss border. 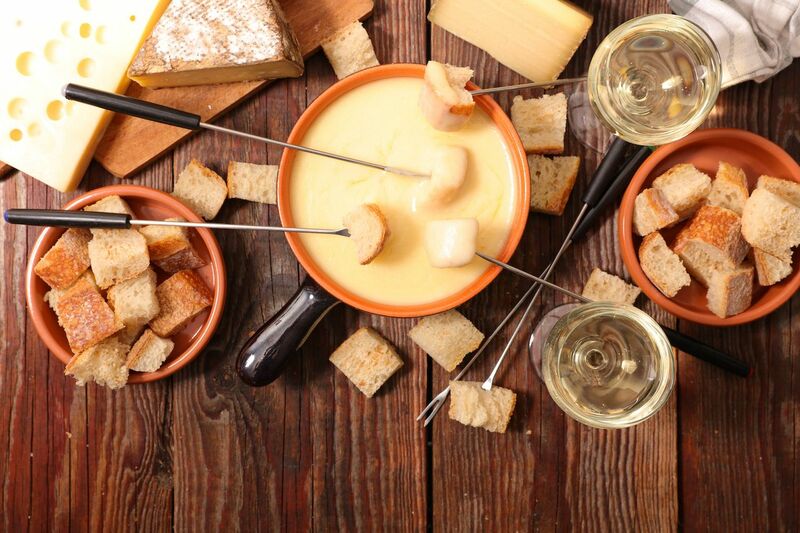 Traditionally, fondue in Savoy is prepared with a combination of Beaufort, Emmental, and/or Comté cheeses, white wine, and garlic. That’s all blended together and served with a variety of crackers, bread, meats, and veggies. A dish this heavy needs a wine with some acidity, so pair with a bottle of jacquere or altesse, which balances out the richness of the cheese. For red wine lovers, look no further than a local bottle of mondeuse, an indigenous, high-acid red variety. Nothing says Provence and the south of France like a savory fish dish paired with mouthwatering rosé. 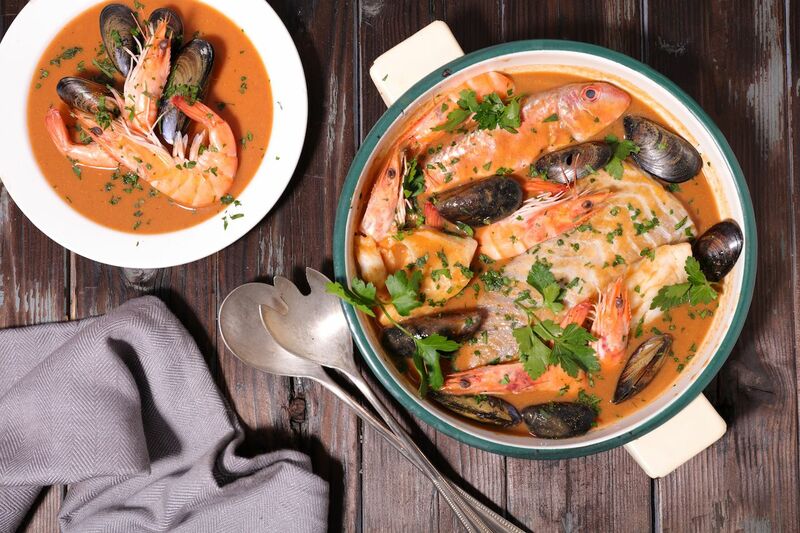 Bouillabaisse is a traditional Provencal fish stew crafted from local Marseillais fish, tomatoes, celery, potatoes, and Provencal herbs, then served alongside slices of grilled bread. The final dish is both layered and complex, requiring a versatile, food-friendly wine with bright acidity. A local bottle of Provencal rosé does the trick. Occitanie is a region on the western side of France that shares a border with Spain and the Mediterranean. It encompasses what was formerly known as Languedoc (the name changed in 2016 to Occitanie). 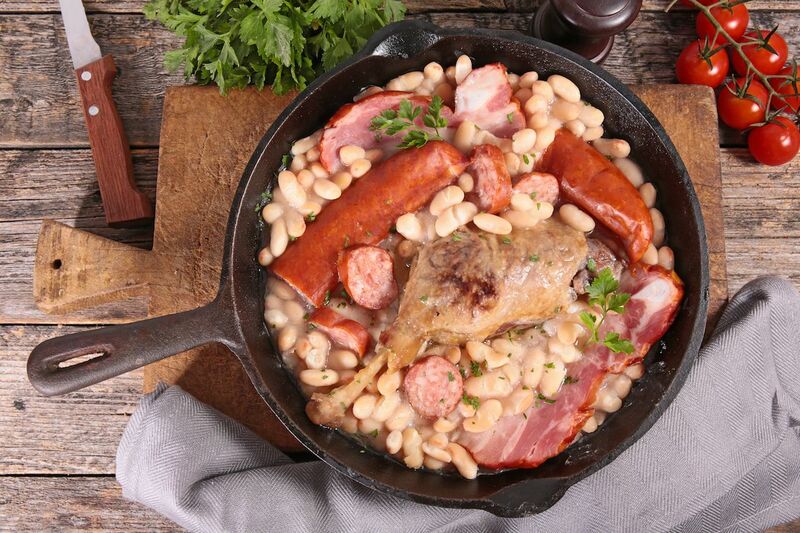 Cassoulet is Languedoc’s gastronomical claim to fame. This rustic, casserole-stew hybrid is generally made from a variety of meats, including pork sausage, goose, and duck, then loaded with white beans and spices. Traditionally, cassoulet is served in a round pot with slanted sides, and it’s mostly found within the cities of Toulouse and Carcassonne. For a warming winter pairing, serve up your cassoulet with a red blend from the Languedoc region, which is usually made from grenache, syrah, and/or mourvedre grapes. 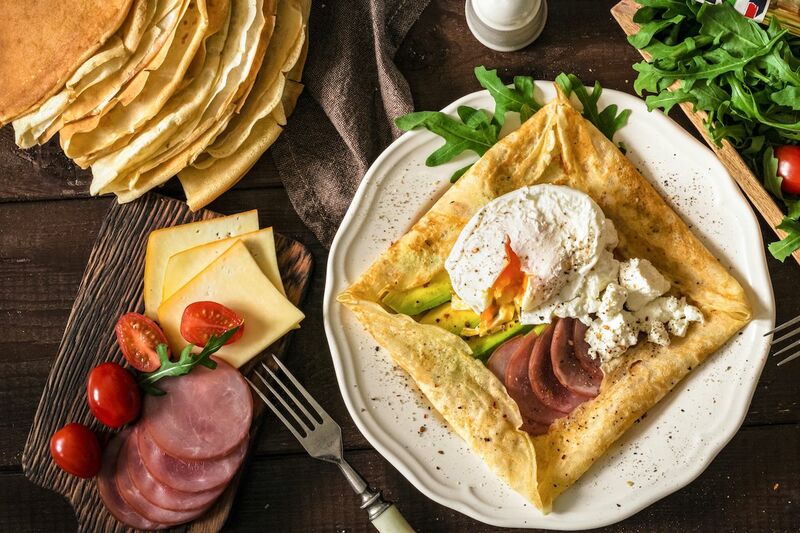 Although the traditional pairing for crepes is generally beer or cider, serving up savory pancakes alongside a glass of local white is a thirst-quenching changeup. This coastal, Atlantic-influenced region makes wine from the melon de Bourgogne grape — though these bottles are usually referred to as Muscadet — creating high-acid, saline-tinged wine that’s certain to satisfy, regardless of which fillings you prefer in your crepes. 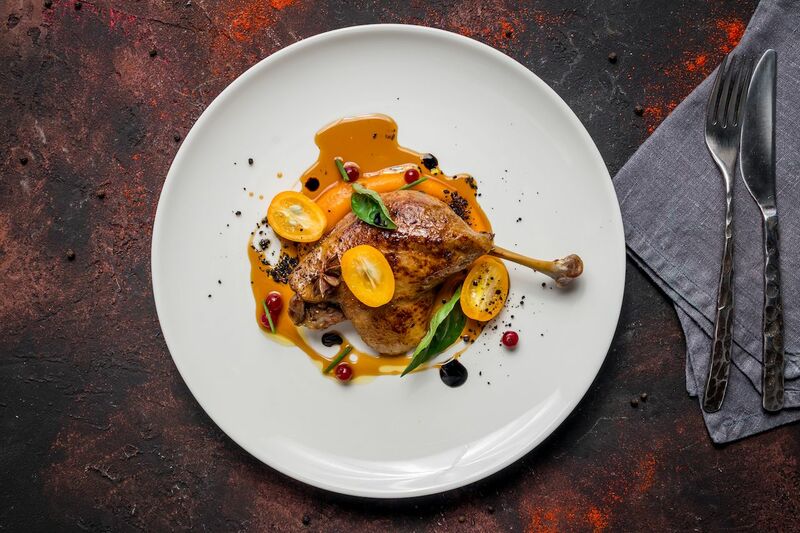 Duck confit and foie gras are two of Gascony’s most famous local delicacies. The former is made from the entire duck using an ancient preserving technique that cures the meat and cooks it in its own fat. Foie gras, on the other hand, is prepared from the fattened liver of ducks or geese. Duck confit pairs perfectly with a local merlot-, cabernet-, or duras-based red wine. Foie gras is outstanding with dessert wine, particularly a sauvignon blanc- or sémillon-based white wine from Sauternes or the South West.